There is nothing like fresh ingredients, is there?! I love walking into my back yard and being able to grab some fresh rosemary! Wash the mushrooms and take out the stem. Set aside. Wash and chop up the rosemary. Combine the cheeses, rosemary, and juice from the whole lemon into a mixing bowl. 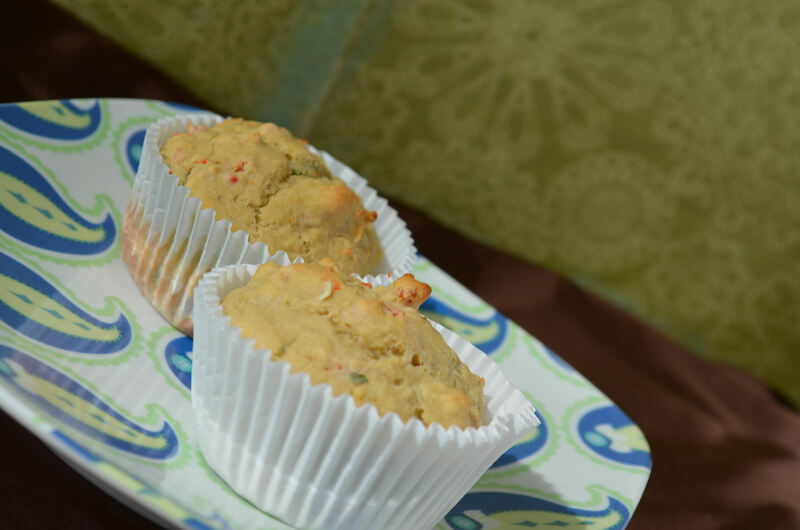 Use an electric mixer to whip it up. Stuff all the mushrooms with the cheesy mixture. In a large skillet, add some olive oil and your mushrooms. Cook on medium heat until ready. 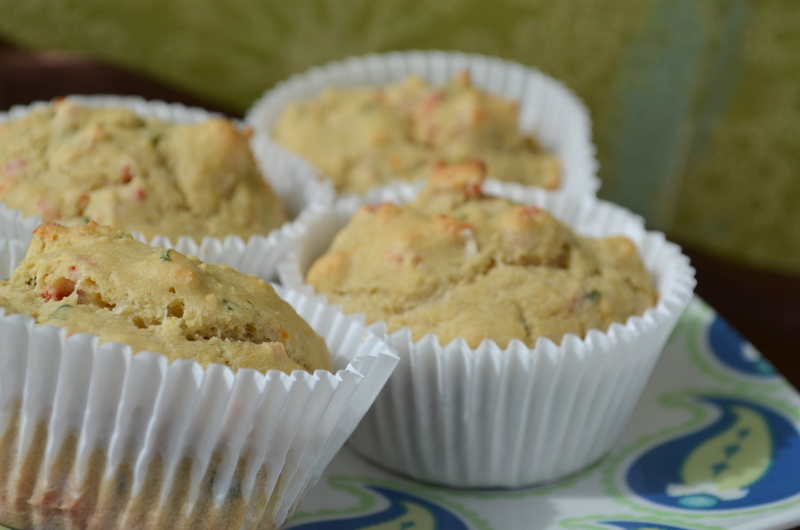 So, I am adding this savory muffin recipe to my collection! Unlike quinoa itself, quinoa flour has a strong taste, so I wasn’t sure whether I would end up liking these or not. 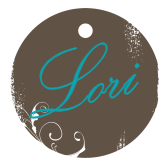 I am happy to say though that both hubby and I really did, and so did most of our small group…they are often my taste testers! I put a bit of honey in them, which I think softened their taste a bit. 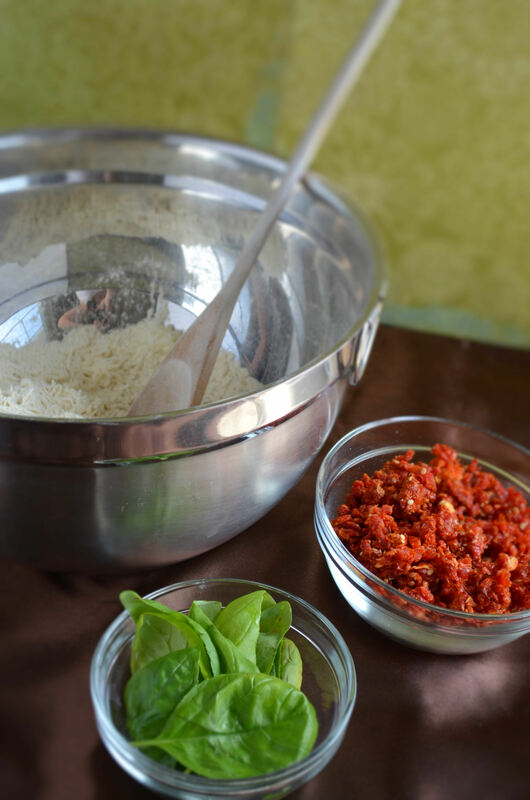 Grate the Asiago, and chop the basil and sun dried tomatoes into tiny pieces. Combine all the dry ingredients in one mixing bowl, and all the wet in another. Then mix all your ingredients together. 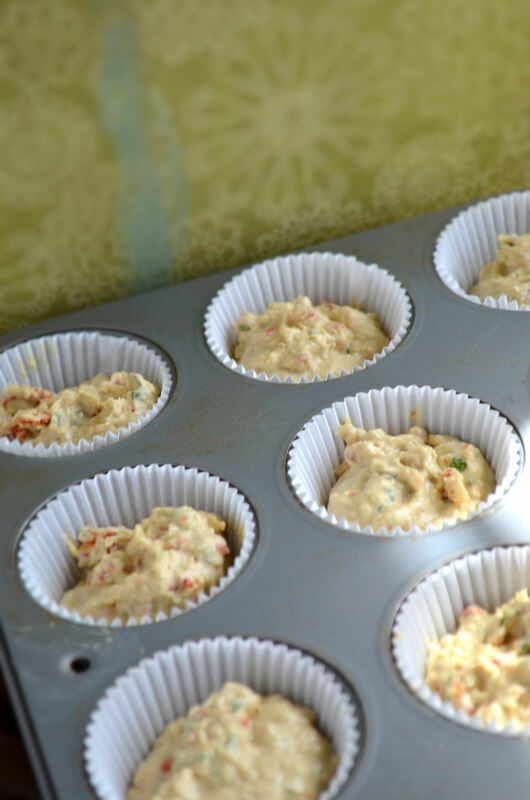 Pour batter into the muffin pan and cook for 20- 25 minutes. 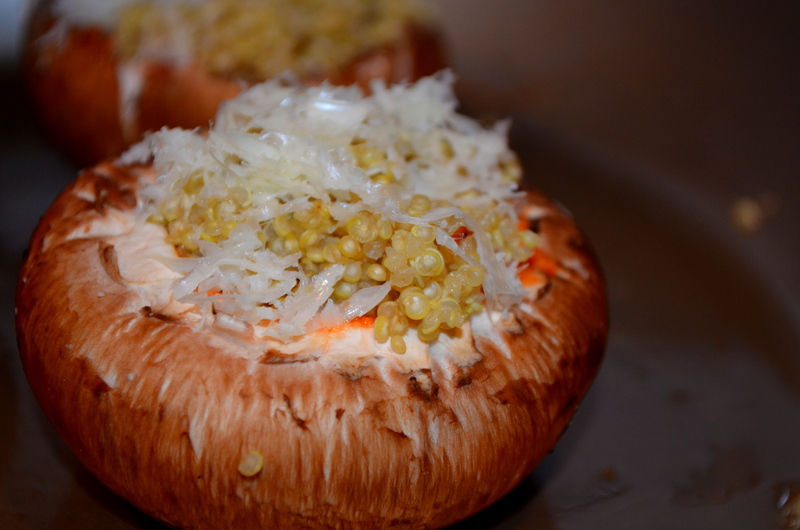 When I saw these portobello mushrooms at the store, I just knew I needed to create something with them! I absolutely love mushrooms, and I have never taken the chance to make portobello ones before. When I was thinking about what to stuff them with, the one thing I knew for sure was “cheese.” As I was looking around, I thought of a fellow blogger, Ivy over at Ivy Mosquito,…because I knew she hated Parmesan cheese. So, Ivy, I want you to know that I skipped on past it for you and went with the Asiago…hoping you like it! And I am personally so glad I did walk past that Parmesan, because the Asiago turned out so wonderful with these mushrooms! 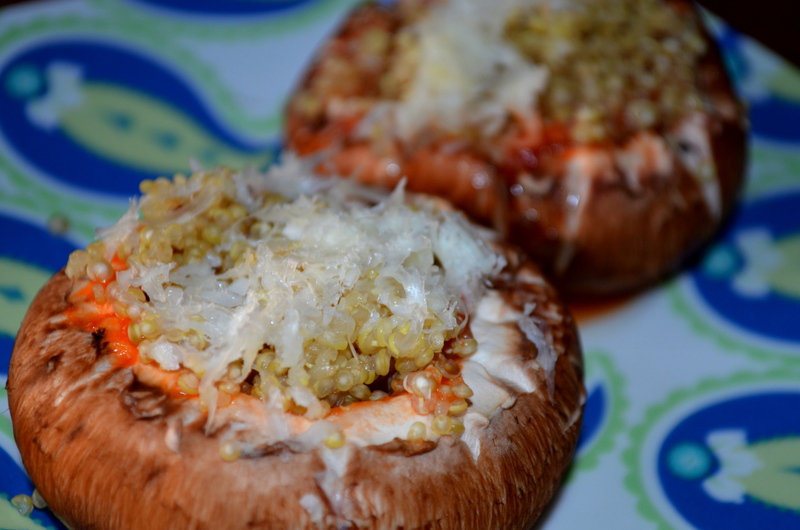 This combination of quinoa, marinara, and Asiago with the portobellos was absolutely delicious!! Loved them! When the water comes to a boil, add in 1/2 cup quinoa until it begins to boil again. Grate the fresh Asiago cheese and put aside. Wash the mushrooms, cutting off the stem and clearing out the inside a bit. When the marinara sauce and quinoa are ready, now you are ready to stuff the mushrooms. 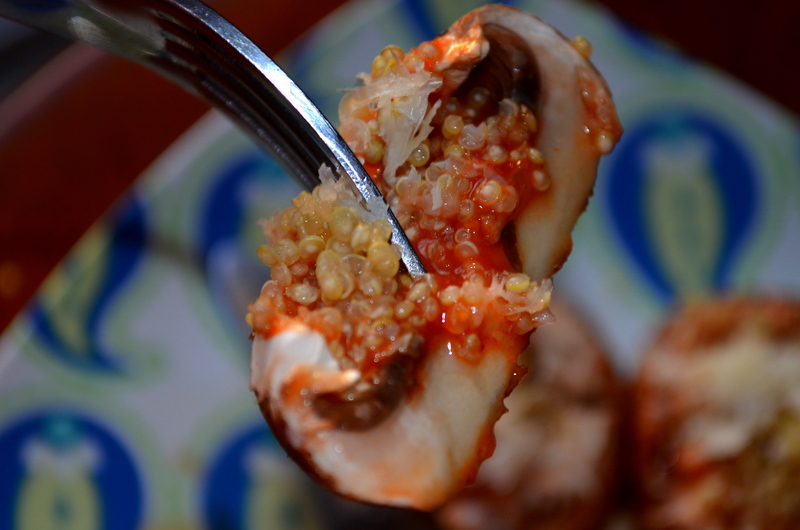 First place a layer of the sauce, then the quinoa, and then the cheese. Pour the olive oil in a skillet and heat it up. Carefully add all the mushrooms to the skillet and cook until the mushroom are warm throughout, and the bottoms are a little browned. 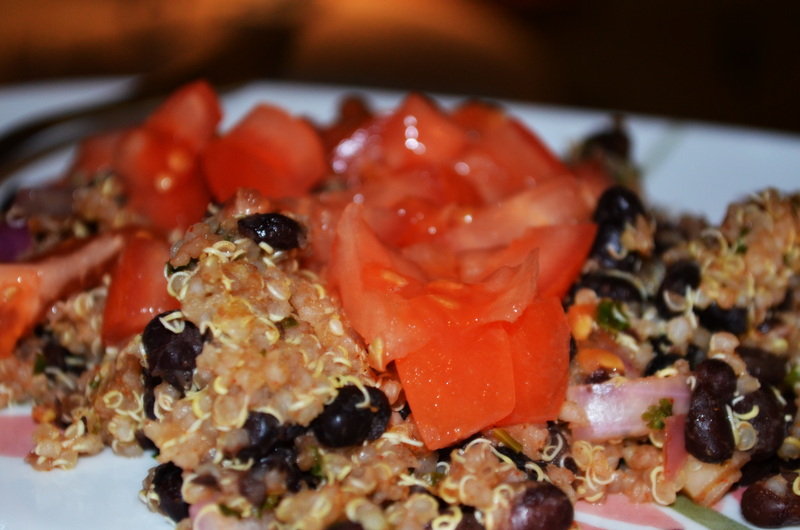 In case you may not have noticed, I have totally been on a quinoa kick! I love, love, love it!! While the quinoa is cooking, chop the tomatoes and set aside in a dish. Next, dice up the onion and chop up the cilantro. 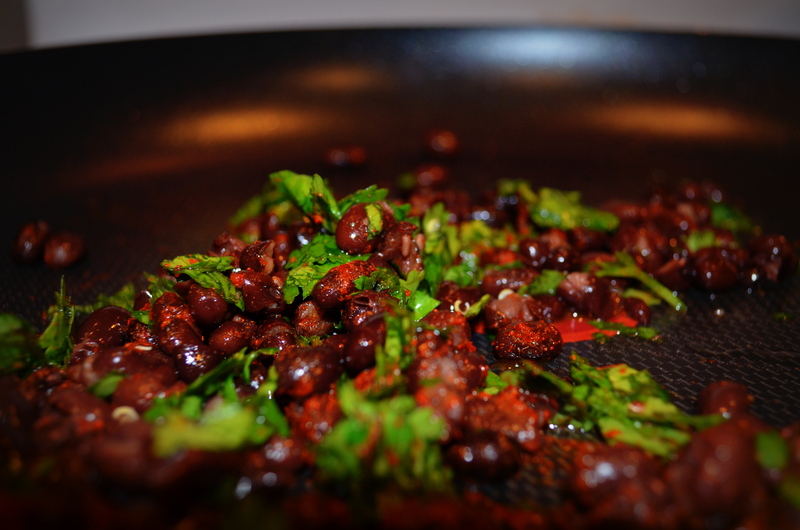 When the quinoa is done cooking and has been sitting for 5 or so minutes (in other words, you have 10 min left for it to sit), squeeze lemon juice from one whole lemon into a large skillet, adding in the black beans, cilantro, onions, chili powder, and cayenne. Cook on medium heat, stirring occasionally. When the quinoa has finished sitting, add it to the skillet. Mix with the other goodies, adding 1 tbsp olive oil. Cook for about 5 minutes and then serve it on plates, adding the freshly cut tomatoes to the top.